A thorough introduction to the cultivation of psychedelic mushrooms. Journey from one end of the mushroom life cycle to the other by the simplest and most direct route. Mycologists Nicholas and Ogame update and improve classic methods for germinating and growing the popular indoor species Psilocybe cubensis. 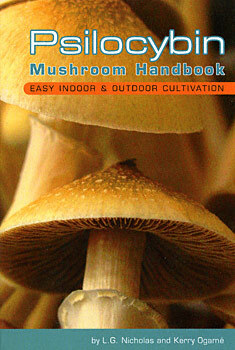 They also explain how to grow Psilocybes outdoors using species that fruit on wood chips. the extensive color section lets you watch the mushrooms grow with photographs that meticulously record the processes. Each featured species is pictured to assist with identification. With their straightforward instructions and proven techniques, you will be well on your way to a thriving garden of these beautiful, fascinating, and extraordinary organisms.